Also: Slow Food snail-paced chef; Vegas, baby! Through Oct. 15 at its Salt Lake City location, Saffron Valley (26 N. E Street, 801-203-3325, SaffronValley.com) is presenting the South Indian Food Festival. The festival will host master chef Kamalakannan, who is flying in from India specially for the festival, where he'll team up with his son, Saffron Valley's head chef, to "lead the Saffron Valley kitchen team through this culinary journey and help present a deliciously authentic dining experience," owner Lavanya Mahate says. 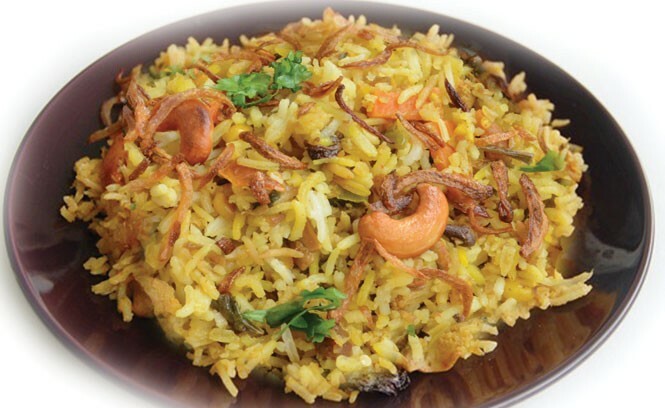 During the festival, the restuarant will offer unique South Indian dishes, like kothu parotta, a street food made from minced flatbread, meat, egg and spicy sauce. At Slow Food Utah's Feast of Five Senses gala dinner in September, Log Haven (6451 E. Millcreek Canyon Road, Salt Lake City, 801-272-8255, Log-Haven.com) Executive Chef Dave Jones was awarded Slow Food's Snail Award for "pioneering the foraging of mushrooms and the cultivation of native Utah plant species for culinary purposes," said Amber Billingsley, who presented the award, adding that Jones is "the only one I'd trust when it comes to foraging." Utah's 75-year-old food service corporation Nicholas & Company (NicholasandCo.com ) held a ribbon-cutting ceremony attended by a number of local officials to celebrate the opening of its new 183,000-square-foot distribution center in north Las Vegas. Founded in 1939 by Nicholas Mouskondis, Nicholas & Company is currently headed by CEO and President Peter Mouskondis, who said at the ceremony, "We are excited to see our lifelong dream to build in Las Vegas come to fruition. We value our genuine partnerships and have a passion for serving people." Chef Toshio Sekikawa, formerly of Naked Fish Japanese Bistro, has opened Tosh's Ramen (1465 S. State, Salt Lake city, ToshsRamen.com). This ramen rocks! In fact, the small eatery has been so busy in its early days that Tosh has run out of ramen and had to close early on occasion.